The purpose of Delta Omicron Sigma Alumnae Chapter is to enhance the quality of life within the community. Public service, leadership development and education of youth are the hallmark of the organization’s programs and activities. 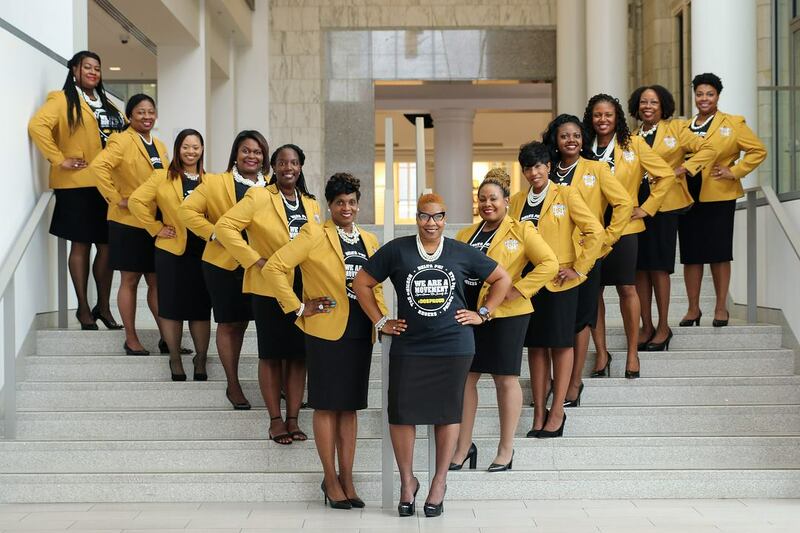 Delta Omicron Sigma Alumnae Chapter addresses concerns that impact society educationally, civically and economically. 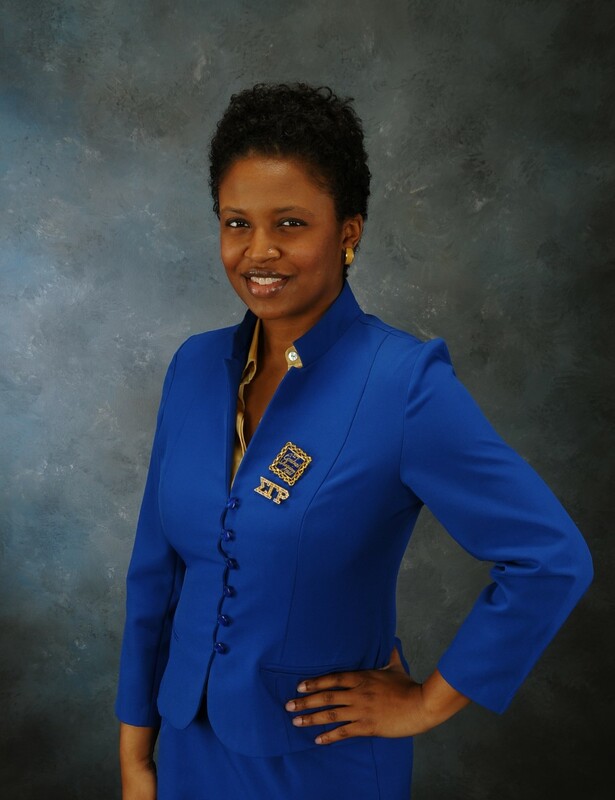 Soror Bradley-Johnson is serving her 1st term as President (Basileus) of Delta Omicron Sigma Alumnae Chapter. She is responsible for facilitating matters involving the graduate Chapter, Undergraduate membership and Affiliates. Soror Pressie proudly serves as First Vice-President (First Anti-Basileus) of Delta Omicron Sigma Alumnae Chapter. She is about all things recruitment on behalf of the entire Sigma Family. She works collaboratively with the Director of Membership organizing events, member services and various other leadership and bonding activities throughout the year to ensure DOS continues to reach standards of excellence. 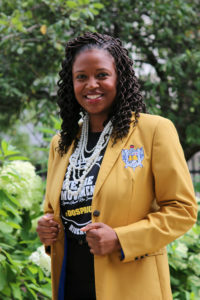 Soror Pressie is also one of the NPHC Representatives for the Chapter. 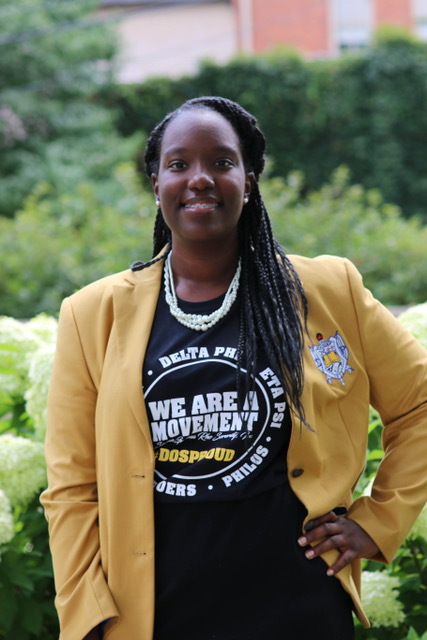 Soror Williams serves as the Director of Membership, a newly created position for Delta Omicron Sigma Alumnae Chapter, to focus on retention and reclamation. 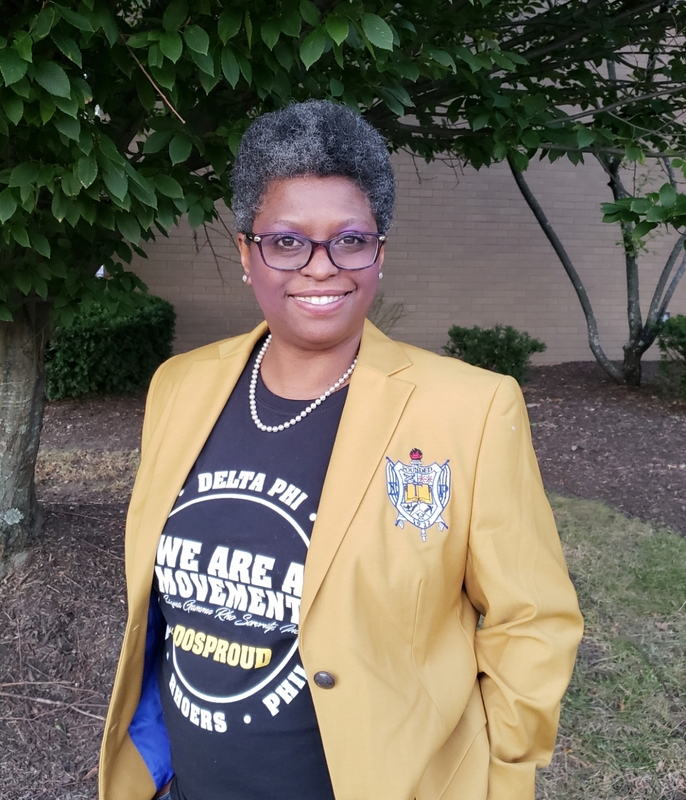 She works very closely with the First Vice-President (First Anti-Basileus) on membership activities and is charged with implementing initiatives specific to maintaining current membership - while welcoming and re-acclimating returning members to the Chapter. Soror Henderson currently serves as 2nd Vice-President (2nd Anti-Basileus) of Delta Omicron Sigma Alumnae Chapter. 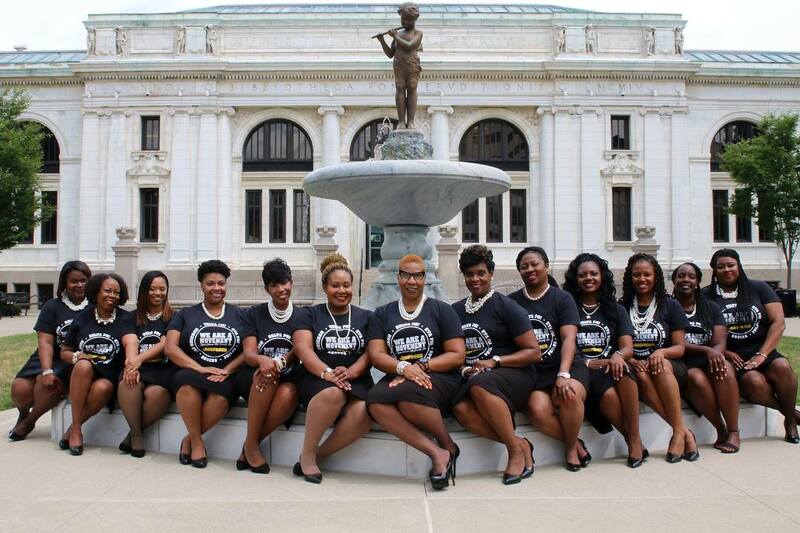 In her role she advises the undergraduates of Delta Phi Chapter at The Ohio State University. 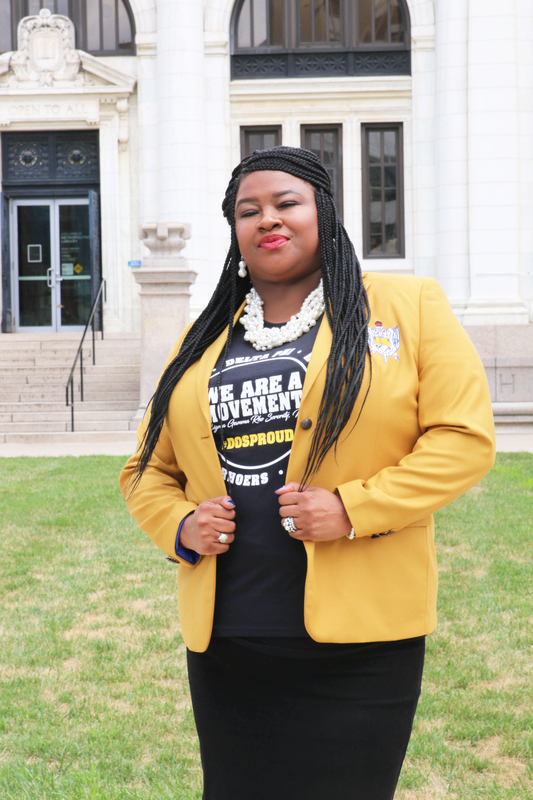 Her responsibilities include growing and retaining membership, as well as acting as a liaison between undergraduate and graduate chapter members. Soror Patterson Phillips currently serves as 3rd Vice-President (3rd Anti-Basileus) of Delta Omicron Sigma Alumnae Chapter. She advises the Eta Psi Chapter at Ohio University in Athens, OH. 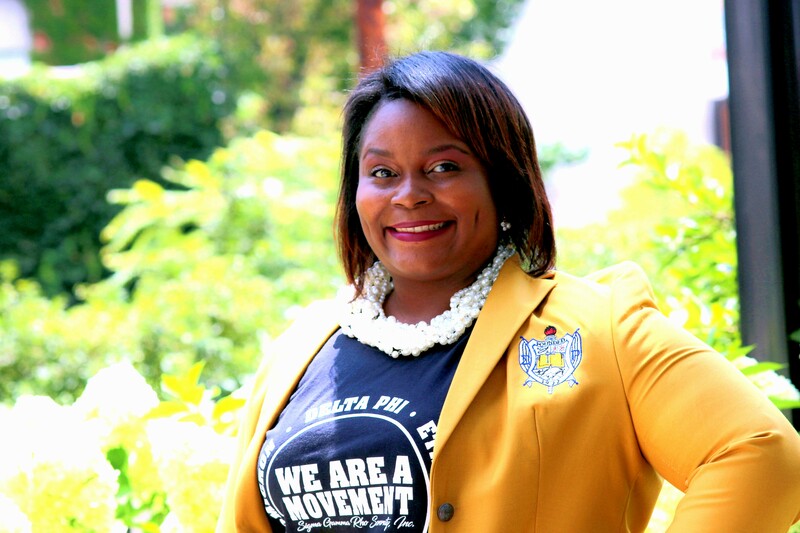 In her role, she serves as a liaison between the alumnae chapter and the undergraduate chapter. She also assists and provides guidance to the undergraduate chapter with understanding correct policies and procedures for conducting sorority business. Soror Pressie is also one of the NPHC Representatives for the Chapter. 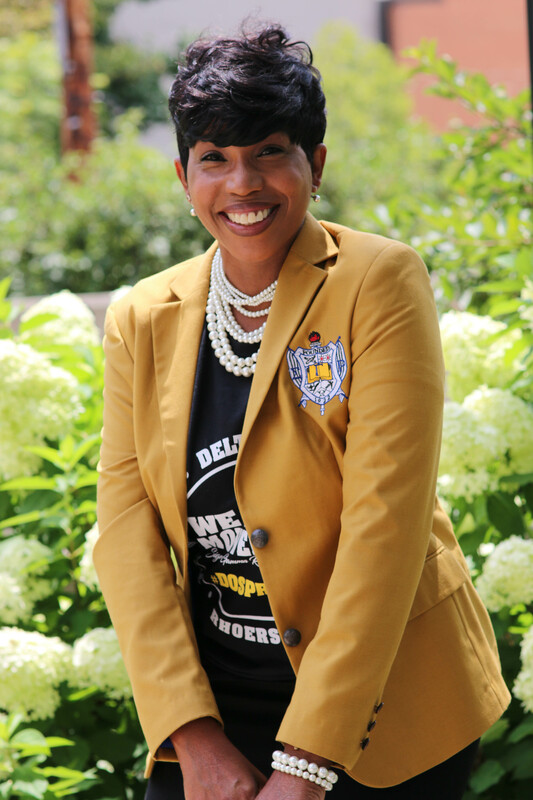 Soror Davis is currently serving her 1st tern as 4th Vice-President (4th Anti-Basileus) of Delta Omicron Sigma Alumnae Chapter. She advises the newly chartered Tau Omicron Chapter at Wilmington College in Wilmington, OH. In her role, she serves as a liaison between the alumnae chapter and the undergraduate chapter. She also assists and provides guidance to the undergraduate chapter with understanding correct policies and procedures for conducting sorority business. 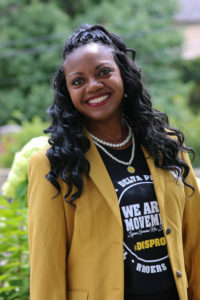 Soror Davis is also one of the NPHC Representatives for the Chapter. 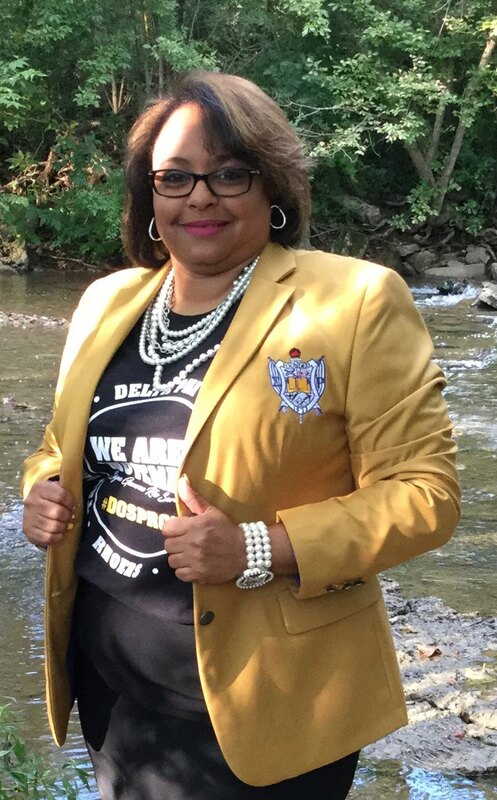 Soror Norman currently serves as the Chapter Secretary (Anti-Grammateus) of Delta Omicron Sigma Alumnae Chapter. As the Anti-Grammateus, she works to make sure all Chapter records are accurate, organized and up-to-date. She also assists with Chapter presentations, communications and correspondences. Soror Bennett currently serves as Financial Secretary (Grammateus) of Delta Omicron Sigma Alumnae Chapter. In this role she records all financial transactions, maintain audit procedures and works closely with the Treasurer (Tamiochus). 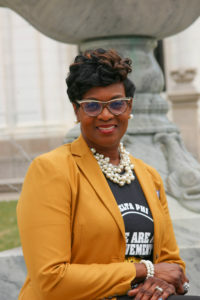 Soror Ivey currently serves as the Treasurer (Tamiochus) of the Delta Omicron Sigma Alumnae Chapter. In this role, she is responsible for maintaining accurate financial records, developing a feasible budget, ensuring the chapter remains financially healthy, and Chairs the Budget Committee. 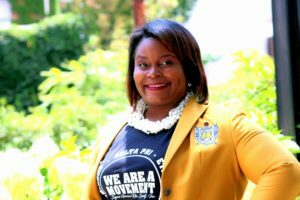 She also serves other roles as National Programs Chair and NPHC Alternate. Soror Hutchins is the current Historian (Epistoleus) for Delta Omicron Sigma Alumnae Chapter. 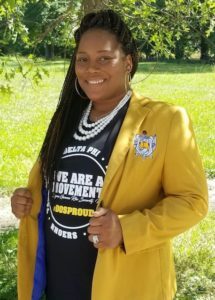 Her duties include documenting and archiving past and current Chapter history, maintaining a strong social media presence with regular updates, creating Chapter marketing material for programs and events and submitting information quarterly to the sorority’s national publication, The Aurora. Soror Hutchins is also on the Central Region Marketing/Public Relations and History Committees. 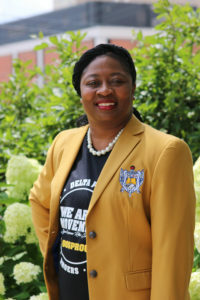 Dr. Black serves as the Advisor to the Rhoer Club of Sigma Gamma Rho Sorority, Inc. Delta Omicron Sigma Alumnae Chapter. 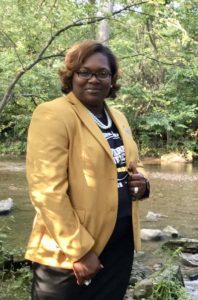 Her role is to advise the affiliate group of young ladies ages 12- 18, mentoring along with the chapter to prepare young ladies for college, leadership and womanhood. 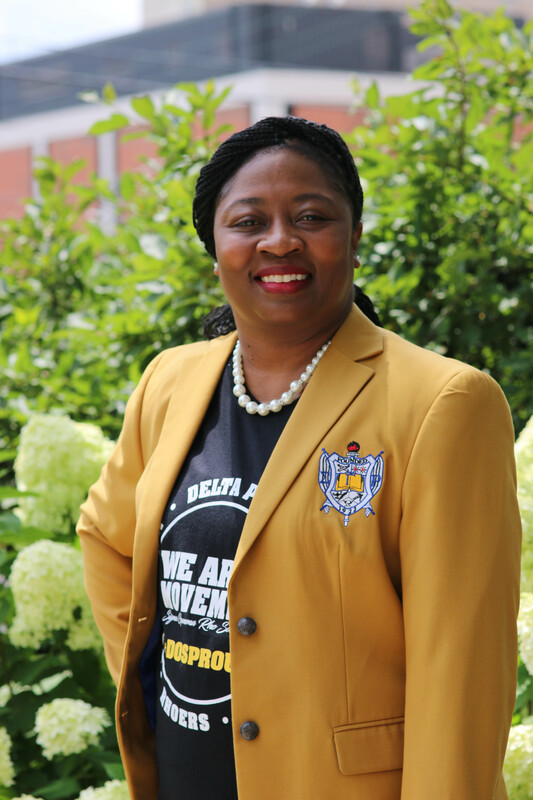 Soror Dickerson currently serves as Sergeant-At-Arms for Delta Omicron Sigma Alumnae Chapter. 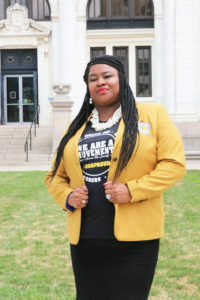 Her duties include maintaining order while ensuring the meetings run smoothly and timely, in addition to: recording attendance, collecting ballots during an election and collecting fines, as well as any other duties as assigned by the Chapter President. Soror Dickerson is also the chapter's Nominations Chair. 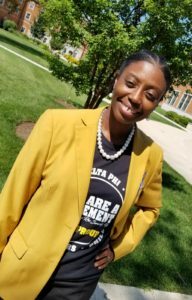 Soror Schultz is currently the Chaplain of Delta Omicron Sigma Alumnae Chapter, for the 2018-20 Term. 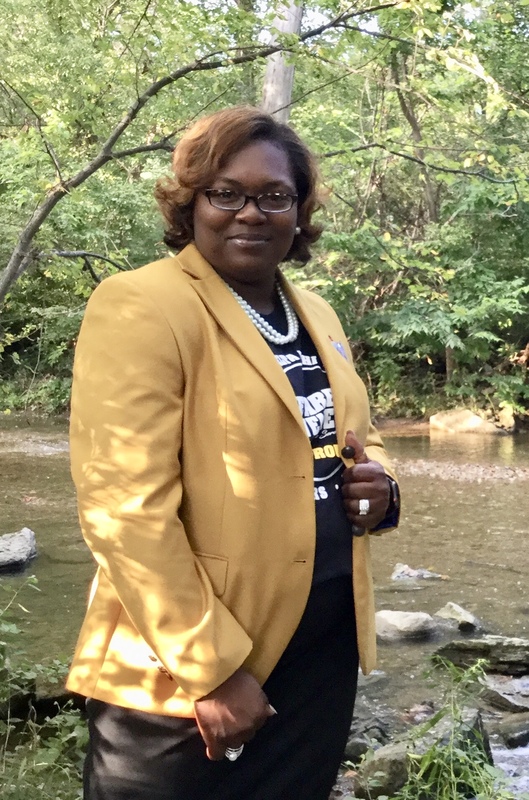 In this role, Soror Schultz brings her strong Christian faith and biblical understanding to chapter meetings and events - creating a positive start each time! Additionally, Soror Schultz assists Chapter members in time of need through prayer, affirmation and other areas of support. Soror Davis-Bey serves as Webmaster of Delta Omicron Sigma Alumnae Chapter. In this role, Soror Davis-Bey works collaboratively with the Historian (Epistoleus) on special projects while taking the lead on the Chapter’s website by maintaining updates, content and branding. 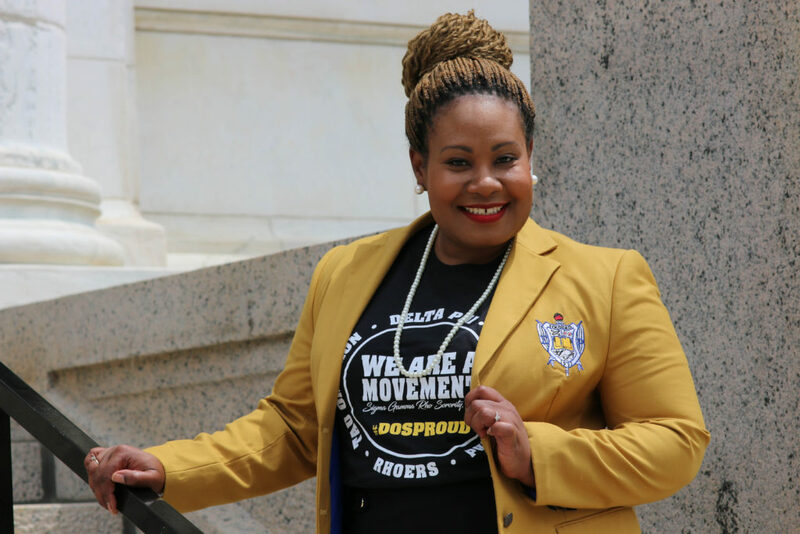 Soror Davis-Bey also serves as the DOS Representative to GSI (Greater Service Initiative) Foundation and the Central Region SPEAR Representative – where she also serves the SPEAR Foundation as Webmaster.